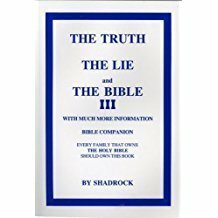 This is a book for people who are seeking truth. It is not for the fanatic, they are already blind. Within these pages you will discover the lies that allowed Christianty to suppress and oppress others of different cultures and skin colour; especially Israelites. You will discover the confusing messages based on lies skillfully administered that are showered upon us through today's philosophies, also you will be taking a closer look at Christianity and what terrible things it had done to God's people.